The year 2019 marks another auspicious occasion for The Angels, the 40th anniversary of their third album No Exit. The album, which spawned classic hits such as the title track No Exit and the still beloved show-stoppers Shadow Boxer and Mr Damage, peaked at No. 8 in the charts. 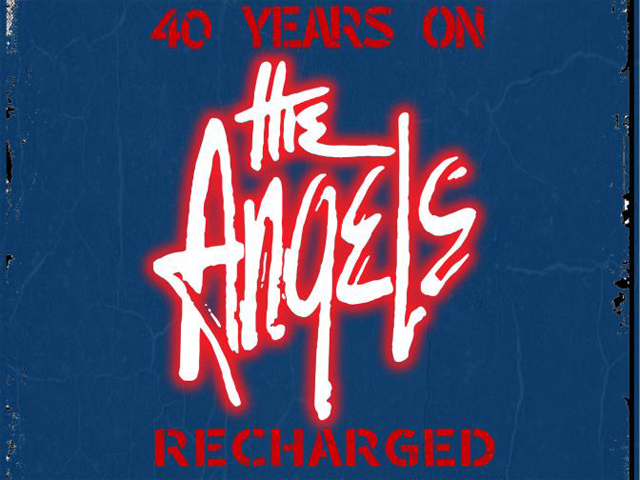 It was an apt follow-on from the band's seminal Face To Face album, demonstrating to fans in 1979 that The Angels were a rock band here to stay. Fast forward four decades and the No Exit album is still a fan favourite. As the anniversary approached for its big 4-0, it was a natural progression to take the songs out on the road and celebrate them in the best way The Angels know how, with a massive tour. It has become something of a tradition for the band to celebrate their albums this way, and rightly so, after all, these releases have made an indelible imprint on the Australian music psyche. They've celebrated 40 years of their Face To Face album in similar fashion – to sell-out shows – and the No Exit, 40 Years On tour is just as highly anticipated. The special thing about the tour is that there are no supports – it is just The Angels, full on, recharged for the entire show. "We will be doing two sets over the whole evening, the first set will be the No Exit album in its entirety and the second set is a mix of classic Angels songs and a few rarities," says John Brewster. "The albums we have made over the years take the audience on a journey, sequence was always important. No Exit takes us on a journey as well, just like the Face To Face album, when we play that same sequence. The second set gives us a chance to explore another journey." No Exit was recorded under the revered Alberts label. John says the memories of recording the 1979 release were some of the most memorable of their career. "Writing many of the songs – Save Me, No Exit, Waiting For The World, Skid Row, and Dawn Is Breaking – with Rick in Studio Three, using the drum loop of George Young's drums, and turning the speed up or down to suit the new idea [was great]," he says. "George Young singing the word 'baby' on Out Of The Blue… he could make a difference with just one word or note. The recording sessions with the band were amazing and exciting!" For Rick Brewster, the memories of recording No Exit are just as fresh as if they were in the Alberts studios last week. "I remember writing our longest lyric, Dawn Is Breaking, continuing the bleak themes of Outcast from the previous album," says Rick. "[There was] the excitement of meeting Damage backstage after a gig at the Comb & Cutter, which kept me up till dawn writing Mr Damage and Chris' wonderful bass solo in No Exit, [as well as] our first use of organ in Dawn Is Breaking and Out Of The Blue. John's and my 'panning' riff in Save Me and the feeling of confidence that after the success of Face To Face, we had succeeded in recording a fitting follow-up album." The songs from No Exit have stood the test of time and still resonate with audiences today. It is this inherent excitement from the album that The Angels translate into their live show. "Great rock n roll never dies," says John. "It always sounds fresh, our lyrics are interesting and these songs just fly! They move young and old, us in the band too!"